We went out to inspect one of our local condominiums for a management company that we do a lot of business with and this is what we found… There is a very active Bat issue going on in one of their electrical closets. 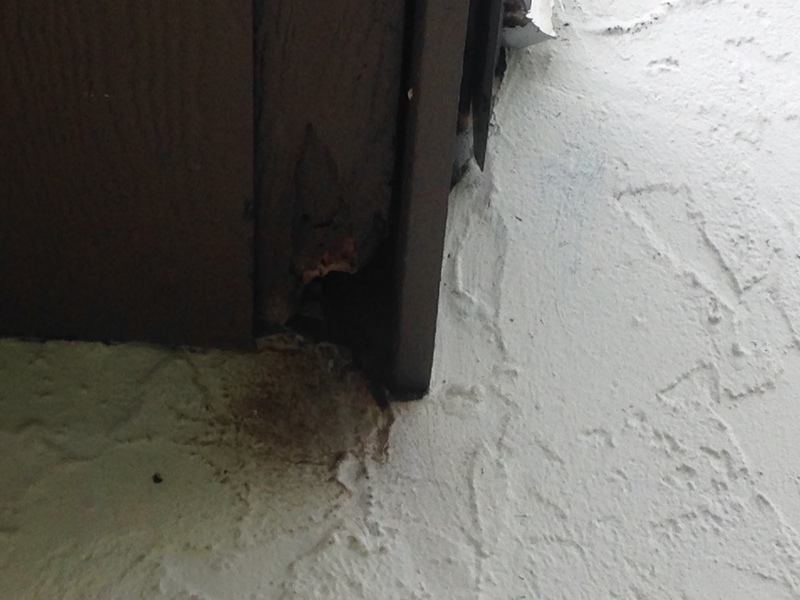 It appears that there was some rotten fascia and the bats found it and made it their home. We will be excluding the bats from the active area and then cleaning up the guano (droppings) that they left behind. The association will be replacing the rotten wood and then we will return to inspect and be sure that the area is sealed completely.